Many will agree that technology has revolutionised our lives. While many of us remark that technology brings us closer with each other, it seems to dehumanise our sentiments. As technology leads us to harbour an urge for keeping pace, there lies a paradoxical, inverse role for technology to commit the exact opposite, just like a sense of loneliness is overly exaggerated in a densely populated metropolis. If technology runs counter to its original intention, is our technological obsession largely to blame or rather technology itself? 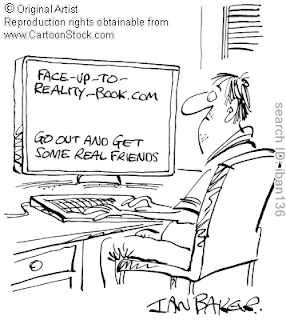 Glancing over our friend lists on MSN, facebook, and twitter, however close we are with them in reality, the profile pictures and names, be they pseudo or real, might prompt us to provoke a doubt in the depth of our relationships with those whom we sentimentally call friends. There seems to lie a high wall, namely, the computer screen, that renders our souls unfathomable. If technology is to offer what it originally suggests, why doesn't it ferry our wounded souls to a state where intimacy is celebrated? If technology pulls us away from each other, it is because technology, with our glorified inventions of mobile phones, the internet, and aeroplanes, renders us too easy to reconnect with each other, just like photography is thought to assure us automatic possession of beauty. Instead of seeing the internet as a device to enhance friendships, we use the medium as a substitution, seducing ourselves into thinking that technology can always allow us to exchange our inner feelings with each other. But what this frame of mind actually does is not only that it draws us apart, while persuading us to take pride on multi-tasking, it also invites us to pay less attention to the minute details of our feelings. It follows a similar trajectory as photography, thinking that technology also assures us automatic possession of friendships. Moreover, while our longing to express panic and despair requires an act of charity from our friends to be heard, the chatting message box closes itself off from other possibilities of communication and invites us to undermine how a hand gesture, a speaking tone, a facial expression, and body language might urge us to articulate emotions which are deemed implausible to deliver in mere words. It deprives us of the ability to empathise and express what torments our souls. In a romantic relationship, it is not uncommon to hover our declarations of love and our determinations to end a relationship through text messages. Aside from the insincerity due to the lack of face to face conversation, what technology undermines is how beauty matters in expressing our longing for love. Texting messages induce us to say what we want to say in the most convenient ways. That is, by simplifying our ordinary language into some sort of inexplicable technological language such as "I luv u" rather than "I love you". Moreover, since technology is about keeping pace, many of us are unable to bear the patience to appease our romantic yearnings as fine prose stylists who articulate our hands to jot down beautifully balanced and poetic phrases. If we do not feel the need to write beautifully, it might be because we tend to think that our romantic partners can easily take in the message in whatever style, even when it suggests vulgarity, regardless of the link of beauty with its effectiveness. But that is precisely the reason why our romantic sentiments are accompanied by intervals of vacuum and fulfilment. They slip from our minds too easily. Small wonder why our female counterparts repeatedly challenge us with questions such as "how much do you love me?" or "what do you love about me?" or the likes. Other than friendship and romantic love, technology also wishes to destroy our relationships with strangers. It must be borne in our minds that connections with strangers have become almost necessary in the world of internet. We communicate with them through emails, twitter, and forums. However, our reactions to strangers have become dehumanising as well. Rather than leaving our responses as humans, behind every avatar or profile picture, we tend to condemn it as machine rather than as a human being. Skimming through posts regarding politics and ethics, one can find the most imaginable insults in the most vulgar language against the thread starters (example, the Golden forum). Most of them, often as anonymous or some pseudo-identities, are insulting as if they are stripped of responsibilities as humans. They are reluctant to accept themselves as grown up adults who need to accept the consequences for what they have done. If they happen to suffer criticisms which seem too churlish to deny, they could just disappear by not replying at all. How easy marked qualities of human beings can be wiped out by the invention of the internet. Is it our technological obsession or technology itself? In the technological civilisation of ours, at one level it would be foolish to avoid the necessities of technology, but at another level technology may pull us away from the human values which ought to be preserved. In our modern educational system, while urging us to integrate technology into classrooms, there seems to be a lack of education on how to use technology properly. In the world where haste is praiseworthy, we often recall the question of why but neglect the question of how. The online world nurtures shallow relationships. The education of technology and love is much needed if the world is to be sane. Next time, spend your time over meals with your friends rather than chatting on MSN, write love letters to your lovers rather than texting messages over mobile phones, and most importantly, try your best to avoid using anonymous and pseudo-identities as names and respond as a human. while some may argue that the Internet dehumanises us, I do find the contrary - that the Internet intensifies our sentiments and brings the darker human nature to light. ppl became sooooooooo excited!!!!!!!!! about who had what breakfast every day on facebook and they can be as vulgar as they want when they don't need to observe any moral rules which are important (at least on the surface) in reality. How does it bring the darker human nature to light, I beg to enquire? Haha. Sure, I am not saying that we cannot MSN. It' just that we need to know how to use that appropriately!